You'll be £10.19 closer to your next £10.00 credit when you purchase A History of Trees. What's this? Have you ever wondered how trees got their names? What did our ancestors think about trees, and how were they used in the past? This fascinating book will answer many of your questions, but also reveal interesting stories that are not widely known. For example, the nut from which tree was predicted to pay off the UK’s national debt? Or why is Europe’s most popular pear called the ‘conference’? Simon Wills tells the history of twenty-eight common trees in an engaging and entertaining way, and every chapter is illustrated with his photographs. Find out why the London plane tree is so frequently planted in our cities, and how our forebears were in awe of the magical properties of hawthorn. Where is Britain’s largest conker tree? Which tree was believed to protect you against both lightning and witchcraft? The use of bay tree leaves as a sign of victory by athletes in ancient Greece led to them being subsequently adopted by many others – from Roman emperors to the Royal Marines. But why were willow trees associated with Alexander Pope, Napoleon Bonaparte, and Samuel Johnson? Why did Queen Anne pay a large sum for a cutting from a walnut tree in Somerset? Discover the answers to these and many other intriguing tales within the pages of this highly engrossing book. ... The book is well-written and beautifully presented with some delightful photographs. This is a beautiful book that would make a perfect present for anybody interested in trees, in general, and UK trees in particular. It is a photographic book, but it also contains a wealth of written information about trees: factual and botanical data, historical events related to specific trees, folk and mythological stories about them, literary connections, etc... this is a beautiful, informative, entertaining, and amusing book that will delight all those who love nature, trees in particular, and who enjoy trivia, stories and photographs. Perfect as a present, for yourself or others, as an inspiration, and as a breath of fresh air. Enjoy! Trees hold a special place in most people’s hearts, and Simon’s photographs and fascinating accomanying texts are the perfect antidote to the rigours of modern life. There are things in this book I never knew, and feel better for knowing. Superb. "A History of Trees" by dedicated wildlife and nature photographer Simon Wills is a unique and beautifully illustrated volume that reveals such fascinating topics as how trees got their names, what our ancestors thought about trees, and how trees were used in the past. A fascinating compilation of interesting stories that are not widely known, readers will learn that the nut from which tree was predicted to pay off the UK's national debt, and why Europe's most popular pear called the 'conference'. Simon Wills tells the history of twenty-eight common trees in an engaging and entertaining way, and every chapter is illustrated with his photographs. A simply fascinating and impressively informative read from cover to cover, "A History Of Trees" will prove to be an enduringly valued addition to community, college, and university collections. This is a fascinating book beautifully presented. 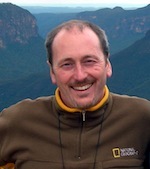 Simon Wills entertainingly explores more or less everything you might want to know about 28 of our most common trees. Taking a detailed look at each species, he illuminates its origin and social history with the help of plenty of photos, illustrations and interesting facts. The writing was easy to read and full of fascinating facts and ideas, folklore and superstition, all lavishly illustrated with colour photographs, some by the author and featuring his dedicatee, Tim the dog. It was the richness of the photographs that drew me to this book, and the writing that kept my interest. If the writing wasn’t so good I could easily have got lost in the pictures. ⭐⭐⭐⭐ A good reference book. I'm looking forward to rediscovering my love of trees and learning about the associated history. I like learning about trees and nature. 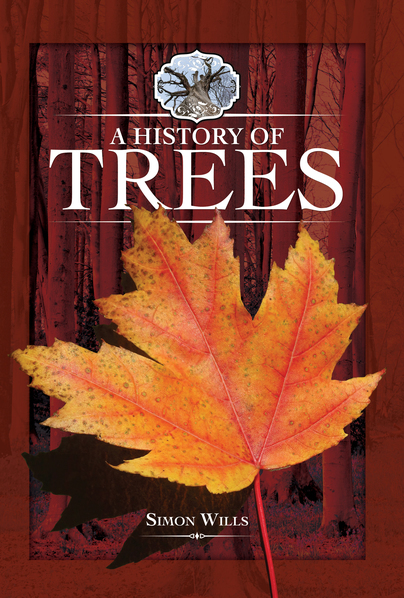 This book was really interesting for me and I loved learning more about the history of different trees. I think this is a wonderful book for a booklover, I can see that as a hardcover it will be wonderful book to peruse and flick through, however, I don't think I got the full benefit of that in the digital version. Still, definitely a book that will make a brilliant gift for any tree lover, lover of facts. This book is interesting and full of information about trees and their history.. It's well written and engaging. While I did have a few quibbles with the book, finding some entries were much shorter than others, as well as too much focus on certain geographical areas, overall, I quite liked this title. It also deserves a special shout out for the dedication alone, it did make me smile.